FCCLA is an integral part and an essential element of FACS education. The FCCLA National Programs are methods of teaching that enhance FACS course curriculum by giving students the ultimate leadership experience through peer education projects, activities, and competitive events. Chapter Chapters may choose how to recognize members who complete National Program projects. 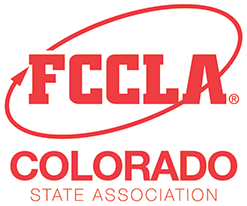 State Colorado FCCLA offers state recognition to individuals and chapters that complete National Program projects, which include certificates and special recognition at the State Leadership Conference. Chapters submit their completed projects through the Recognition for National Program Participation Form. National National FCCLA offers national recognition to chapters that complete National Program projects, which includes cash awards and special recognition at the National Leadership Conference, online, and in Teen Times magazine. Chapters apply online for recognition for their hard work and innovative projects with the National Program Award application. Families First national peer education program through which youth gain a better understanding of how families work and learn skills to become strong family members. Its goals are to: help youth become strong family members and leaders for today and tomorrow and strengthen the family as the basic unit of society. To help members focus their projects, Families First offers five units. Members may complete projects in one or several units. Financial Fitness national peer education program involves youth teaching one another how to make, save, and spend money wisely. Through FCCLA’s Financial Fitness program, youth plan and carry out projects that help them and their peers learn to become wise financial managers and smart consumers. 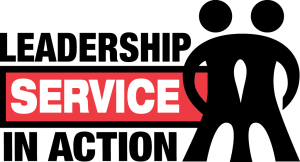 The FCCLA Leadership Service in Action program guides students to develop, plan, carry out, and evaluate projects that improve the quality of life in their communities. Leadership Service in Action helps young people build skills for family, career, and community roles; provides youth-centered learning experiences related to Family and Consumer Sciences education; and encourages young people to develop the positive character traits of trustworthiness, respect, responsibility, fairness, caring, and citizenship. The Student Body national peer education program helps young people make informed, responsible decisions about their health, provides youth opportunities to teach others, and develops healthy lifestyles along with communication and leadership skills.